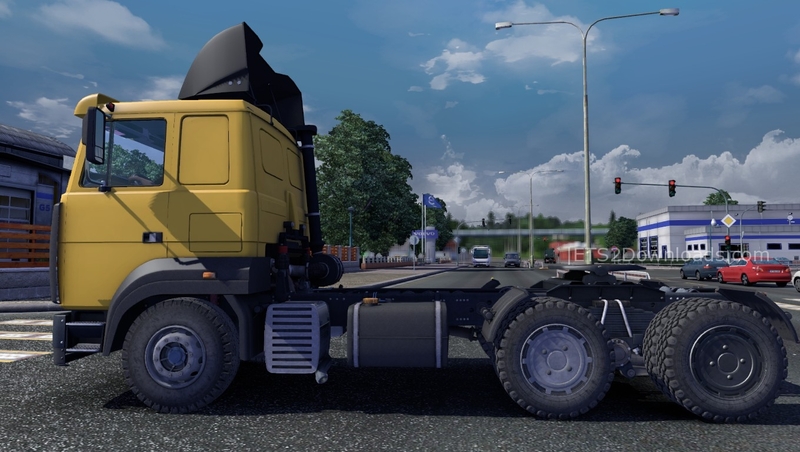 This is the new update for the MAZ 6422M with its own interior, animations, new wheels, tuning parts, realistic engines and more other things! You can buy it in every DAF Dealer! Wow ! We have a very good mod here. 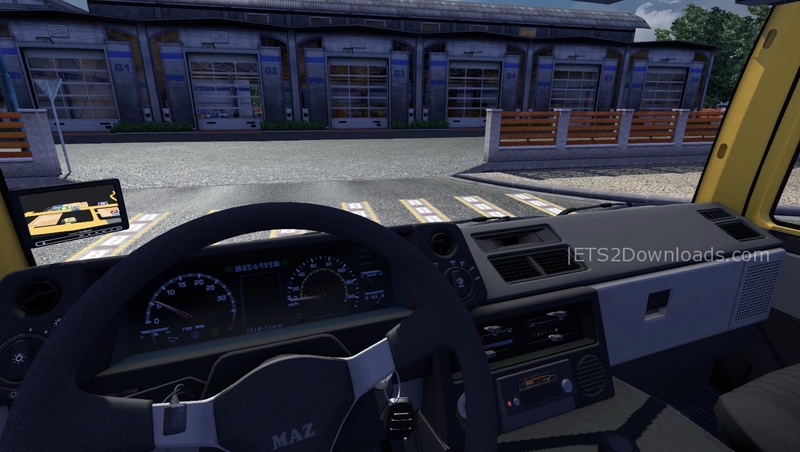 The truck is very detailed and the interior is far above the usual quality level of non-SCS models. Keep in mind that this truck is designed for heavy hauls so all available engines have a very high torque -though relatively low horsepower- and are all associated with their own gearboxes (mostly short ratios because of the heavy haul purpose). The only problem, in my opinion, is the engine sound. I don’t know if it’s realistic or not but it is so loud and unpleasant that I’ve personnally chosen to change it for default one because driving for more than 10 minutes with that racket was unbearable. I love it, very detailed. Very fast. I have added it into the post. Thank you mate! I have a major complaint about this truck. The model and the details rock, no doubt about it, but it breaks other trucks’ display. It goes pitch black even when the engine’s on, and if i press the button to switch the display’s info the whole game crashes. I like this mod but i can’t use it in its current state. Any way to fix it? I am sorry to say so, but this truck still needs some tweaking I can’t do. The Game log complains about outdated textures that can’t be mipmapped, files taken from the original game which are blocked, because it’s not allowed to use them, and, oh my god, the sound. When you fire up that engine, you think wow, that’s great, but then….. it is very much reminissent of a Kolomna 14 D 40, which is a two stroke 12 cylinder diesel engine used in the M62 “Taiga Drum” (or Mashka, as the russians nickname it), a dieselELECTRIC locomotive. If you ever heard that sound, you’ll never forget it. First thing the east germans did when those impressive things arrived from Russia is to give them some mufflers, because they are awfully loud, just like this soundset. It’s not the file used which is bad, but it’s the way the soundset is patched together, the way the sound responds to increasing rpm. This could have been a great one. On the pro side, the engine options are accurate according to real world specs. I do like the rugged look of the chassis very much, and the dashboard is nice, too. The 14 speed transmission works great with the 425 horses the truck can keep under the hood. The chassis however has very soft springs. Hauling a ROS 24 ton waste trailer already presents a problem at low speeds, especially on unpawed ground, because the front wheels lose traction and make cornering a nightmare until you build up some speed. 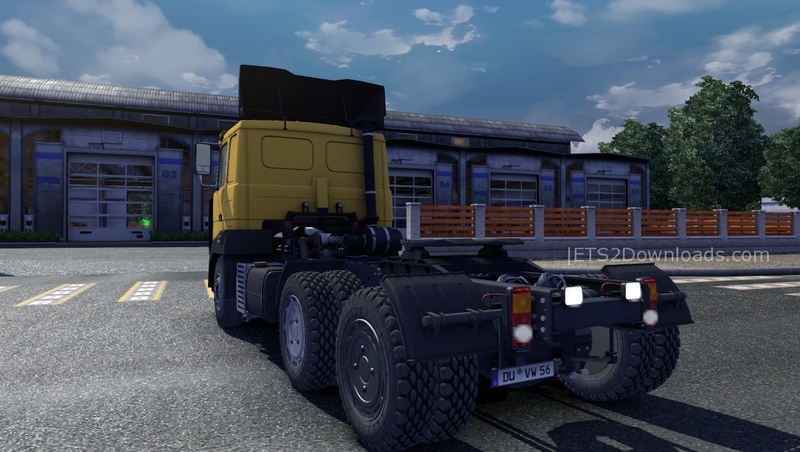 However, the roll bars work fine, so at speeds of 90 and above with the same trailer, your truck remains stabile. 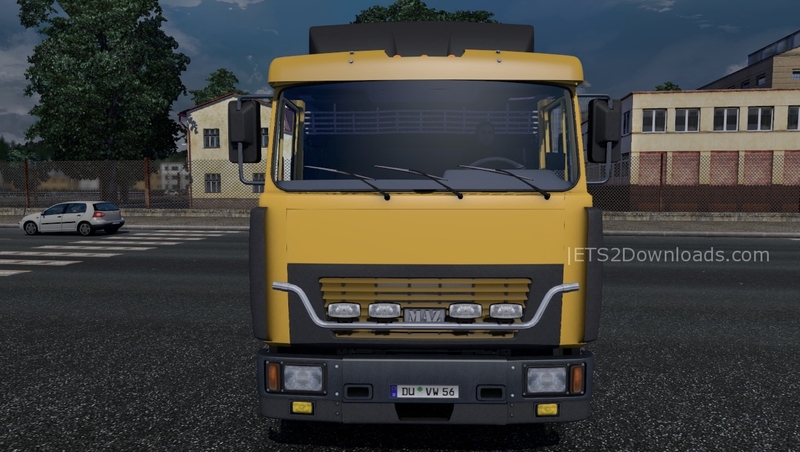 The additional fuel tanks you can buy don’t change your capacity whatsoever.You can add an inside cab light in several colors, even in rhythmosauric green, but they will noticably affect your framerate. So reluctantly and regrettingly, I decommmission the truck; I can’t really recommend it until said issues are fixed. 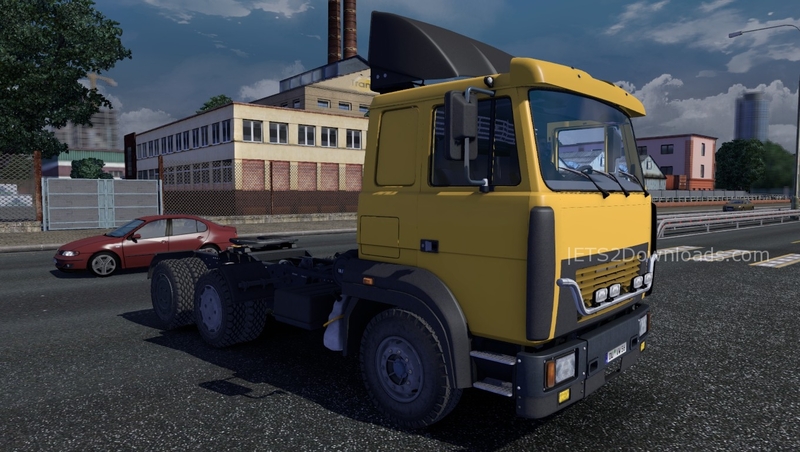 I hope, this mod will see some improvement, because actually, I’d love to drive it.